The FCC has opened up a rare window of opportunity for non-commercial organizations to start new low-powered radio stations in urban areas, and Seattle’s Brown Paper Tickets is trying to help as many people as possible navigate the application process. Sabrina Roach is heading up BPT’s “Make Radio Challenge,” which is providing free assistance to applicants for the Low-Powered FM (LPFM) stations. As part of the effort, Brown Paper Tickets organized a launch brunch during South by Southwest Interactive. Along with breakfast burritos and Bloody Mary’s, a panel discussed the importance of LPFM stations as an outlet which will enable communities to tell their own stories and reach people who may not have easy online access. The FCC will accept applications for low-power stations in urban areas for the first time this October. The stations can operate at a maximum of 100 watts, which reaches about three miles from the broadcast point. These new stations will be allowed to operate on open frequencies, and licenses will not be granted to commercial organizations. It costs about $10,000 in equipment and other costs to start a station, and because the process can be complicated, Roach said organizations need to start working on the application by May to have it ready to submit to the FCC in October. 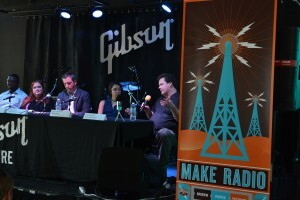 Although some may question the importance of niche broadcast radio stations when an online radio station can be set up with little overhead, Michael Bracy, policy director for the Future of Music Coalition, said LPFM can reach people an online station may not, as well as allow people in those communities to make their voices heard. Bracy said he’s been part of lobbying efforts for more than a decade to get the FCC to allow these LPFM stations in urban areas, which had previously been restricted from the urban airwaves. He expects about 1,000 new LPFM stations to be created once the application process finishes. The panel touched on the economic difficulties faced by LPFM stations. Roach said the traditional public radio model of pledge drives probably won’t work for many of these smaller stations, although crowdfunding tools may pay a role. 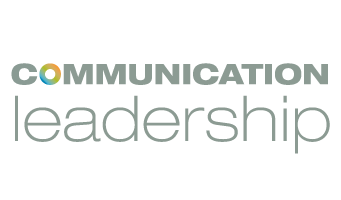 In many areas, public grants may also be available for community media. Panelist Alissa McCain of the Austin Creative Alliance said her group had identified about $6 million in public agency funding which could be available for LPFM stations. The focus of the panel, though, was on the opportunities LPFM stations can create for under-served populations.